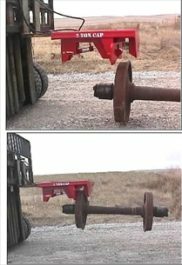 This is a version of our Single Wheelset Handler that is designed for use with any conventional forklift having a rated capacity of 4,000 pounds or greater. 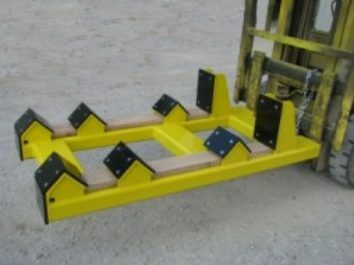 The overall height of the fixture is low enough to allow it to be used to load and unload trailers from the rear. 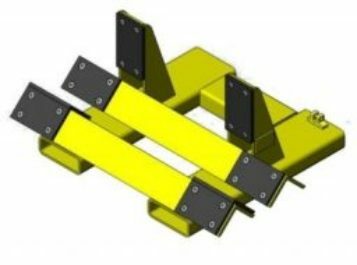 All axle contact surfaces are protected by a high strength plastic material to prevent metal-to-metal contact. 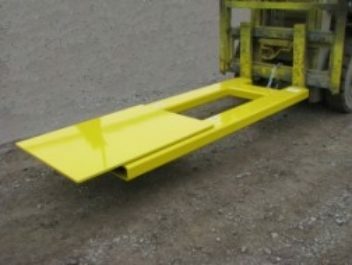 Includes safety chain and OSHA compliant forklift attachment identification tag. 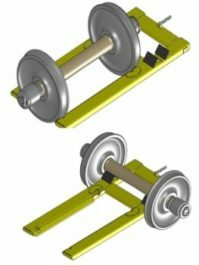 The Double Wheel Set Caddie handles two wheel sets at one time. under freight cars. 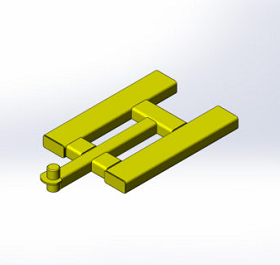 It may be used with any forklift having fork tine dimensions of 2” thick by 6” wide or smaller. 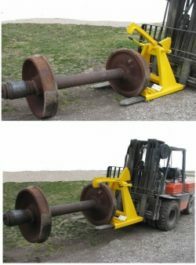 Forklift capacity and fork tine length are not factors. 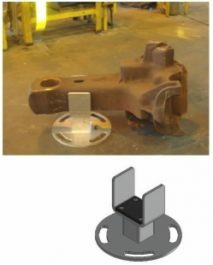 The Draft Gear Assembly Installation fixture may be used with any forklift having a rated capacity of 6,000 lbs. or greater. 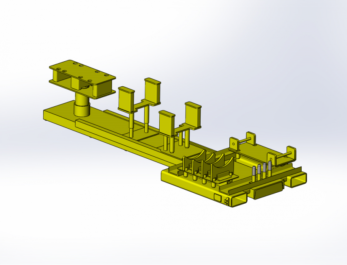 The rotating head allows quick, simple position of the assembly. 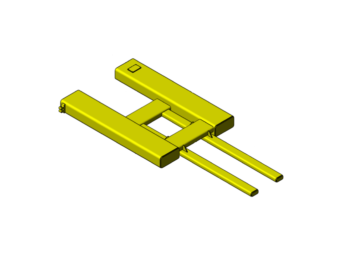 The fixture is long enough to allow access from either the front or sides of the freight car. 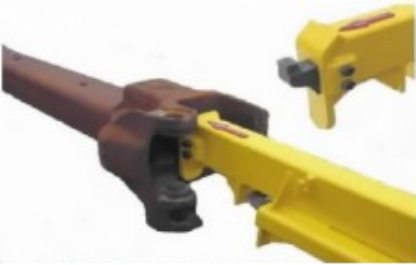 A lifting hook is already included with the lifting fixture. 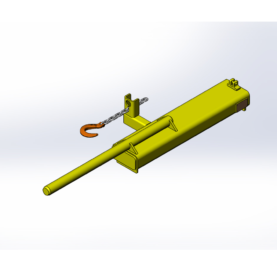 This extension includes an additional lifting hook that to it. 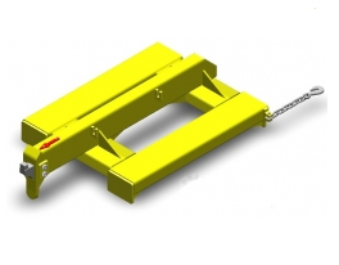 The 18″ Chain Extension Does not come with lifting hook. 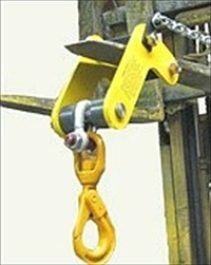 Hook is included with Lifting Fixture. 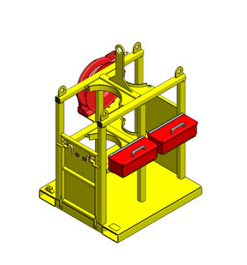 Forklift fixture for handling round style EOCs, without f-pin hole, and moving them in and out of the EOC Rack (Part # 0575). 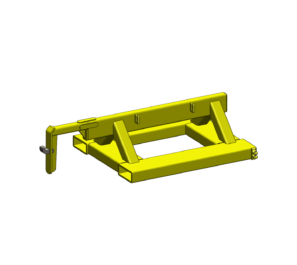 Use our new Slack Adjuster Transport Rack to store slack adjusters and ship them to the vendor for rebuilding. 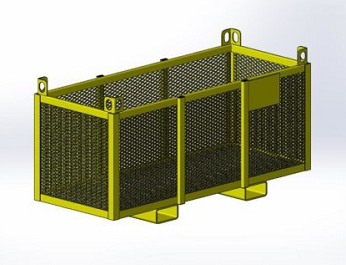 The bar grate flooring provides a strong surface that allows water and snow to pass through. 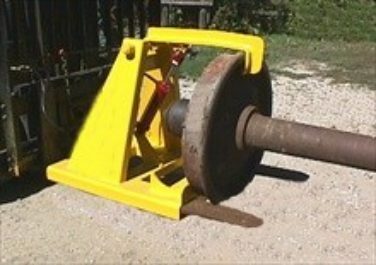 May be handled either with a forklift or overhead lifting equipment. 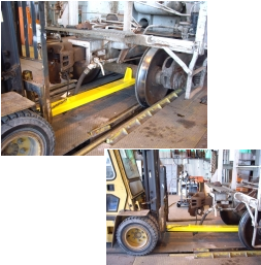 Use with any size forklift to transport gas bottles and cutting equipment around your repair facility. 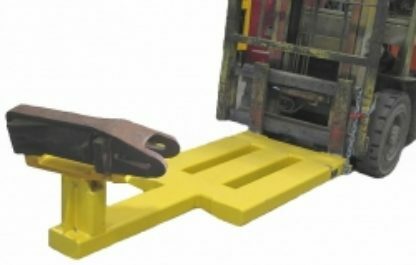 Also has lifting points to be moved with an overhead crane. 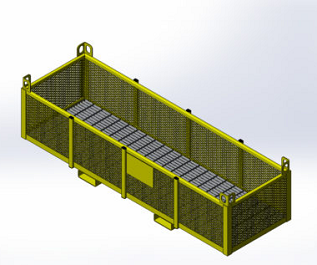 The drop gates hold the bottles in place and provide ramps to remove and install the gas bottles. Two toolboxes are included for storage of equipment and parts. 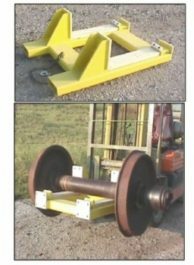 A 50’ capacity spring take-up hose reel is also included.